Control depth-of-field and selective focus on DSLR, mirrorless, and medium format cameras with a simply tilt of the lens. Lightweight, compact, and extremely rugged, the Zörk Multi Focus System provides an exceptional range of tilt and swing adjustment, along with continuous focusing from infinity to macro range. Tilt – for precise control of the image plane for stunning selective focus effects. The Zörk Multi Focus System is one of the most versatile photographic tools on the market today with up to 25 degrees of tilt / swing in a 360 degrees of rotation. Available in all major DSLR and mirroless camera mounts, including m43, Sony A and E mounts, and Fuji X cameras. MFS shown, above, with 100mm Schneider Componon HM. The the Zörk US Product Guide for complete MFS kits and pricing. 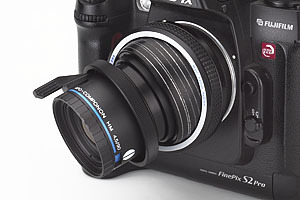 MFS combined with the Zörk Pro Shift Adapter creates a unique mini view camera for medium format cameras. The MFS may also be combined with the Panaroma Shift Adapter for full view camera movements on DSLR, mirrorless, and film cameras. The Zörk Multi Focus System (MFS) belongs in every serious photographer's camera bag. This compact, versatile, precision-built device is the perfect answer to some of the most challenging photographic applications: portraiture, macro, table-top, fashion, landscape, and travel – to name a few. The MFS is the core of Zörk's modular tilt/shift/macro system, consisting of shift adapters, pinholes, extension tubes, and the Makroscope dual aspherical element auxiliary lens. Together, the Multi Focus System provides true view camera capability, without the bulk, weight, and expense. The Zörk MFS uses an ingenious Tilt Tube® that provides up to 30° of tilt / swing along any axis, through 360° of rotation. This range of movement is unattainable in dedicated tilt lenses DSLR camera systems. Only the MFS offers classic view-camera range of adjustment. The MFS uses our helical focusing tube (the Mini Makro Mount) in conjunction with a "short mount" lens (such as an APO from Rodenstock or Schneider) or use a Zoerk mounting tube with a large format lens (in-shutter lenses required Hasselblad V, H, and Rollei 6000 series cameras). A short mount APO Rodagon 80mm, for example, offers continuous focusing from infinity to 1:2 on a full frame DSLR. Add extension tubes, and the MFS will provide up to 3:1 image magnification, along with tilt / swing adjustments. Our Makroscope Type I will provide 1:1 image magnification without any bellows extension light loss. 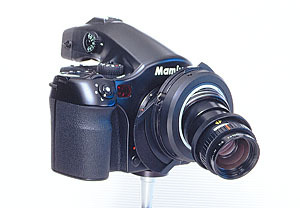 And by combining the Makroscope and extension tubes, the MFS provides up to 5:1 image magnification along with plane-of-focus adjustment (tilt/swing) to give unprecedented depth of field in extreme macro shooting. Image plane control: Extend effective depth-of-field without changing the lens aperture. Bring any parallel or inclined image plane into focus by tilting the lens. Hand-held close-up photography becomes possible without a camera support or artificial lighting. 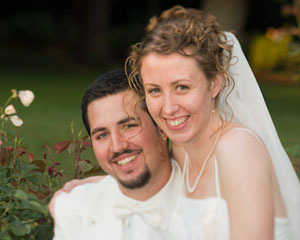 Selective focus control: Tilt beyond the point of extended depth-of-field and you can render selective areas of the subject in or out of focus. Portions of the subject can be blurred to varying degrees, according to the amount of tilt you use. View-camera adjustability: Take the MFS into the field on a DSLR (including medium format) or mirrorless camera, and enjoy the tilt / swing adjustments of a view camera without the bulk, weight, and expense. Macro range focusing - included: With an 80mm lens (shortest focal length recommended for infinity-to-macro range on a DSLR / 50-60mm for mirrorless), the MFS focus from infinity down to 1:2 (1/2 life-size reproduction at the image plane). Macro photography benefits hugely from the ability to increase effective depth-of-field through tilt adjustment. Expand functionality with Zörk system accessories: The MFS can be turned into a mini-view camera with the Panorama Shift Adapter or Pro Shift Adapter, extend the close-up range with the Makroscope or a set of extension tubes, and get even more depth-of-field with our Pinhole set. All of these accessories were designed to integrate fully with the Multi Focus System. Please consult us for details on appropriate lenses and compatibility with your camera system. Versatile and multi-purpose: The MFS can be used on virtually any DSLR, mirrorless, mediu format, or film camera, simply by selecting the proper mount adapter and lens. Works on video and cinema cameras, too. 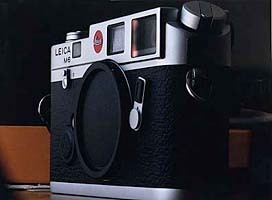 First, consider the relationships among three "planes" when we photograph an object: 1) the subject plane (the angle of the subject relative to the camera position) 2) the image plane (the image inside the camera that is projected by the lens onto the film), and 3) the film plane (where the film lies in the camera). For the sake of discussion, both the subject and film plane are fixed; the image plane can be moved around its axis by tilting the lens. When you tilt the lens in the direction of the subject you plane, you also move the image plane relative to the film plane. A tilted image plane brings the projected image (of the subject) into a parallel relationship with the film plane. As a result, the subject appears sharp on the film (and through the SLR viewfinder). This is know as the Scheimpflug effect. This effect is aperture-independent: it occurs no matter what aperture is used. When the subject, image, and film planes are parallel to begin with (such as when we photograph a wall, positioning ourselves so that the camera film plane is parallel), the subject will appear sharp. We do not need to stop down the lens or tilt, because depth-of-field is not a factor in image sharpness. However, when the subject and film planes are at an angle, relative to each other and we want the image to appear in focus, we either stop down the lens or tilt it – to bring these planes into alignment. Tilt – for effective increase of depth-of-field in table-top applications, without stopping down! 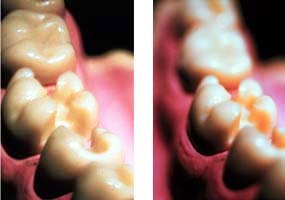 For more examples of images using the MFS, please visit our gallery. What is the "Scheimpflug effect"? The "Scheimpflug effect" allows you to increase effective depth-of-field simply by tilting the camera lens along its axis in the direction of the image plane (as illustrated above). This technique of sharpness distribution control - normally only possible with the swing and tilt movements of a view camera - allows you to align the lens with any subject plane, without changing the camera position or stopping down the lens. This means that you can use a wider aperture and a faster shutter speed, reducing or eliminating the risk of camera shake or blur due to subject movement, or simply have greater overall depth-of-field for a given aperture.